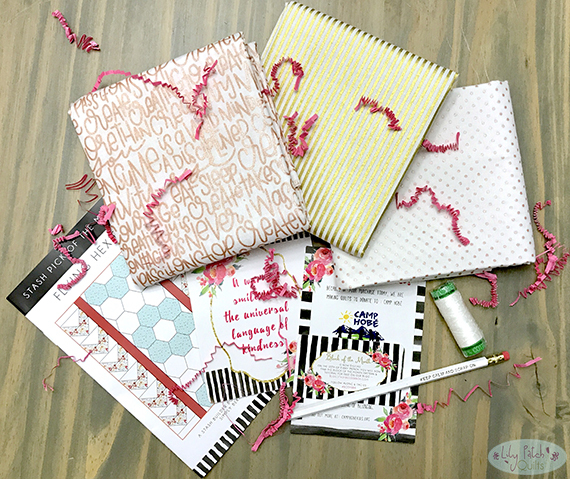 There are many monthly quilty subscription boxes out there. I have been on the fence for a while trying to decide if it's something I would want to subscribe to. The prices vary depending on which company you would like. These boxes all have fabrics and other quilty goodies. 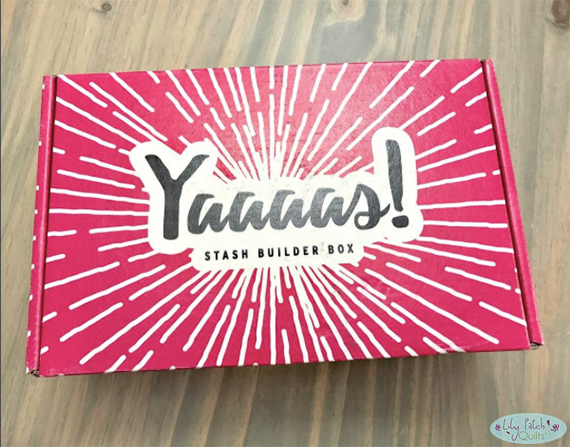 I finally took the plunge and ordered a subscription with the folks at Stash Builder Box. 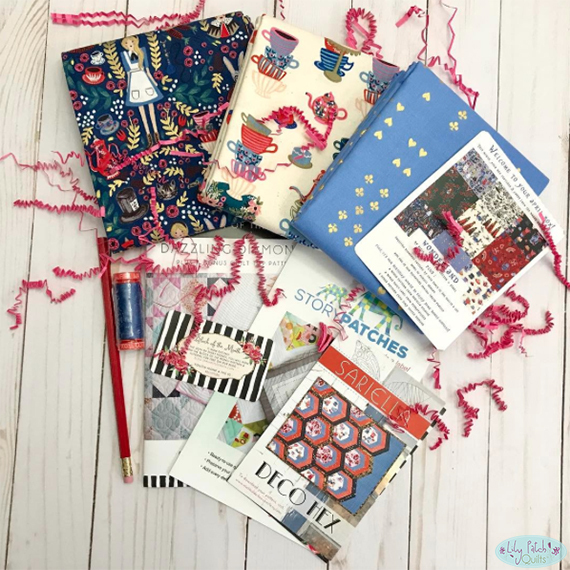 The reason I went with them was because I like the fact that I actually get a full yard from each of the three fabrics they include in their box each month. Then they always throw in a small spool of Aurifil thread which I love. There's the usual pencil with a different quote and a pattern or two depending on the month. This was April's box, which was their birthday month I believe so there were extra goodies in this box. These fun prints are from Cotton and Steel's Wonderland collection. I just received my May box and the fabrics were from Riley Blake Designs. I love the text print and all the shimmer on all of these fabrics. I have plans to make some fun accessories with these. Anywho, the other reason I went with Stash Builder Box was because each box purchased they donate a percentage to charity. I figured I have a lot of the tools and notions already so I didn't want to subscribe to the other boxes out there because I really don't need duplicates. I think when it comes to monthly subscriptions, we all have our preferences on what works for us. Ok, I just want to say that I am not being paid or given free stuff to write this. I just love these boxes. I only bought a three month subscription for my birthday and I have one more to go. I was going to cancel it after next month, but now I don't know. It's so fun to receive something other than bills each month. I should be resuming my sewing shortly to use these fabrics. I have been so swamped with finals for school and family stuff that sewing was put on the back burner. I am so ready to sew. Sounds like a fun surprise each month! They sent some really nice fabric. It is fun getting a quilty gift each month.